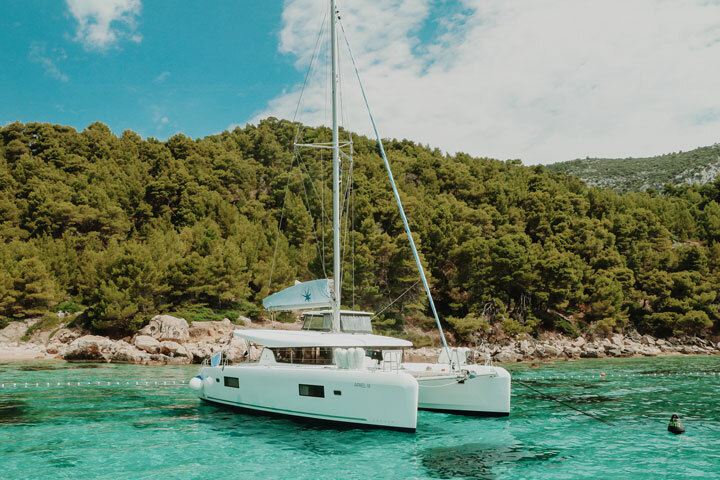 Life on board a luxury catamaran with your own private captain and crew gives you the chance to be carefree; such an important factor after all the demands involved in planning the perfect wedding. With a highly skilled team, including skipper, hostess and possibly even a chef, to look after your every whim, it gives you newly-weds the time and space to enjoy married life. All the stress and responsibilities will be taken out of your hands. They possess unrivaled local knowledge and will stop at nothing to ensure you enjoy the trip of a lifetime. Honeymooning on your own personal catamaran means that you can break free of the tourist traps. Each vessel comes with its own private ‘beach’ and sun deck for your sole use. The added luxury and space on board a catamaran means there is always plenty of private areas, both in and out of the sun, for you to enjoy. The double hull also allows the intimacy your honeymoon deserves. 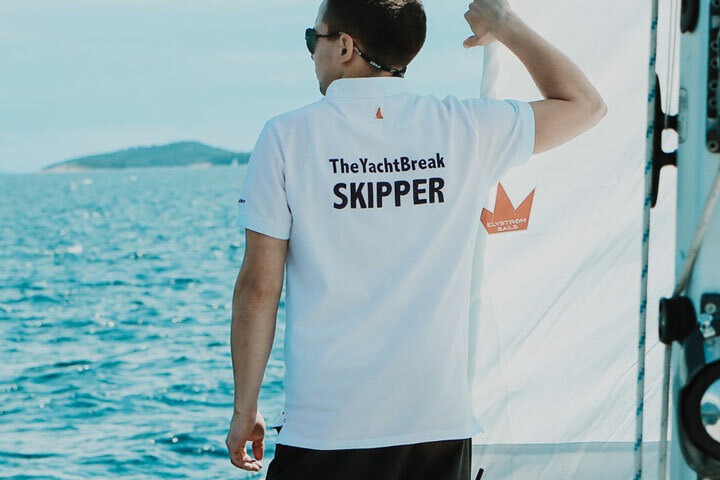 Each of our crew at The Yacht Break are professionally trained and highly educated. You can interact with them as much or as little as you desire. They have plenty of experience and are adept at reading social situations. This means they are discrete and will give you the privacy you need at this most important life milestone. Croatia’s coastline is like nature’s playground. There are endless activities and adventures you can have together to make your honeymoon exciting and fun and bring you even closer together. Why not take the opportunity to cement your bonds by trying new things together that you have only dreamed of. Or unite over the shared interests and hobbies that brought you together. Scuba dive in one of the most exciting locations in the Mediterranean. The seas around the Croatian coast are peppered with reefs and wrecks to explore; there are copious quantities of caves, caverns, and canyons; as well as walls, chimneys, and tunnels. The corals are vibrant, and seas well stocked with life. If you prefer to stay closer to the surface, the water is so clear in the Adriatic that the snorkeling is superb. For adrenaline junkies, you could try out Flyboarding, Sea-bobs or jet ski. There are even amazing zip wires, white water rafting, and cliff jumping activities. Nature lovers will relish the National Parks and hiking trails that can be found throughout the islands and there is plenty of scope to slip away together while paddle-boarding around the secluded bays. There are plenty more refined sides to Croatia to enjoy. This region is oozing in culture and the old towns are beautiful to wander around. There are high-end shops in the cities of Split, Dubrovnik, and Zadar (and local markets throughout the region) where you can wander and pick up special gifts. Their food is second to none and there are gastronomic delights to discover on every island. The local konoba turn out fantastic food and there are lots of fine-dining restaurants. The wines are wonderful and there are plenty of vineyards to visit as you wind your way along the Dalmatian coastline. If you choose to bring a private chef on board, they can cook whatever your heart desires. Using only the freshest local ingredients, they will conjure up delicious meals for two, to enjoy in the privacy of your own yacht. You could even ask for a table to be set on a remote beach, for the ultimate romantic gesture. 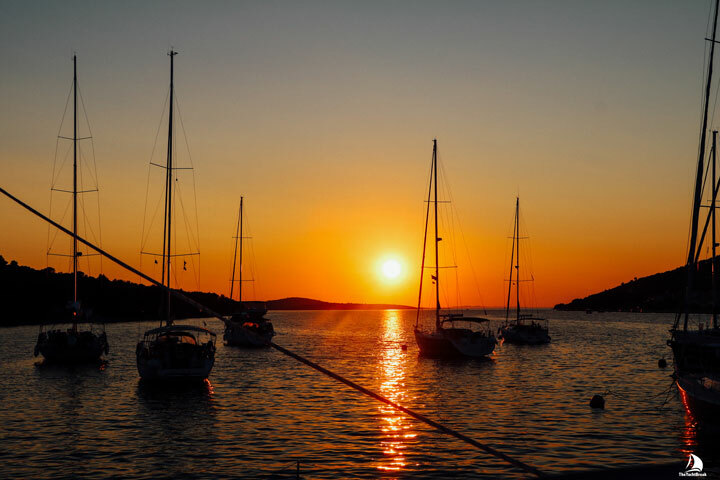 Whatever you decide to do on your honeymoon, you can be certain that chartering a private yacht will guarantee that no one else will ever experience one quite the same. This is not just another five-star all-inclusive resort. This is a tailor-made bespoke luxury honeymoon that will give lasting memories you can dine out on for years to come. It may even ignite a passion for sailing that will stay with you for life! Why settle for one location when you can sail around many more while enjoying the height of luxury? A new horizon every day and sublime sunsets each evening. Get in touch with The Yacht Break to start planning your dream today (it is so much more fun than wedding planning!). There is plenty more to explore on the Croatian mainland. Why not tag on some days either side of your honeymoon charter to visit some of the locations that are on everyone’s bucket list? The cities of Dubrovnik, Split and Zadar are must-see places. There are awe-inspiring natural wonders to be found in the Krka National Park and amazing adrenaline-fueled experiences along the Cetina river.